Chairman, General Manager and Chief Pilot of Guizhou, Julan Flying Club, Mr Hou General Manager of LUSY, Ms Guo Jing. Global Sales & Marketing Director of Tecnam, Mr Walter Da Costa COO of Tecnam, Mr Giovanni Pascale Chairman of Anhui Lantian International Flight Training School, Mr Xie Chungui Head of CAAC Northeast Regulatory agency, Mr Hou. Photo © Tecnam. TECNAM and its local aerospace partner Liaoning United-Air ShenYan Co. Ltd (LUSY) announced t an order for a fleet of 30 aeroplanes from the Anhui Lantian International Flight Academy (ALIFA). The order was signed today at the bi-annual Zhuhai International Air Show (also known as Airshow China). Xie Chunqui, Chairman, ALIFA said: "Our company have selected TECNAM P2006T Twins and P2010 Ptwenty Ten's models to replace our legacy fleet of training aeroplanes. Our all new state-of-the-art TECNAM aircraft will not only enable us to provide our Cadets with the very best training fleet but will also support our aspirationsto fulfil our ambition to establish ALIFA as a world-class Flight Training Organization". The Tecnam P2010 P Twenty Ten is the first new single engine, high wing, four-seat aircraft from Tecnam that brings together an advanced technology all carbon fibre fuselage with a metal wing and stabilator. The P2006T Twin is the world's most reputable twin engine aeroplane. It will enable the delivery of complex Flight Training and will enable ALIFA students to complete MEP training in a faster and more efficient manner. Walter Da Costa, Tecnam Global Sales and Marketing Director said: "We are so proud to partner with the "Anhui Lantian International Flight Academy". ALIFA have a well-earned reputation for delivering flight training to an exceptional standard and we are honoured to be key partner in the future development of China's next-generation of commercial airline pilots"
Moroccan national flag-carrier, Royal Air Maroc, is adding an additional ATR 72-600 to its fleet. This will bring its total ATR 72-600 fleet to six aircraft. The aircraft will be delivered before the end of the year and will be configured in the same dual-class configuration as the airline's current ATR fleet. Photo © ATR. ATR's Chief Executive Officer Stefano Bortoli commented: "Seeing the launch customer of the ATR -600 series place a repeat order is a real source of pride for us, as it validates the enduring quality of our product and proves that it is the ideal solution to the challenges of regional connectivity in Africa. Royal Air Maroc is selecting an aircraft that offers a 40% advantage in fuel burn, the lowest operating costs and a modern and comfortable cabin, therefore buying the best value in the market." Abdelhamid Addou, Chairman and CEO of Royal Air Maroc said: "As we already are exploiting five ATRs, this ATR 72-600 will be added to our fleet in a smooth way. The aircraft is operationally proven in Morocco and offers our passengers a comfortable cabin. It is a good aircraft to complement our single-aisle fleet, and it will enable us to adapt even better our domestic and regional market capacity, offering more flight options to our passengers." Royal Air Maroc was the launch customer for the ATR -600 series and took delivery of their first ATR 72-600 in 2011. In the following seven years, ATR has delivered in total over 500 ATR-600 series aircraft, becoming the market leader in the regional segment thanks to its unbeatable economics, the widest and most comfortable cabin, operational flexibility, and state-of-the-art avionics. In 2018 in the Africa region, ATR has delivered brand-new ATR 72-600s to Air Sénégal and Air Botswana. EWA Air and Royal Air Maroc will be the next customers to receive their new ATR-600s before the end of the year. In terms of market outlook, Africa and the Middle East will require 350 turboprops in the next 20 years, to serve 300 new routes further developing regional aviation. Regional connectivity supports local economies, with a 10% increase in flights generating a 5% rise in tourism, an increase of 6% in local GDP and 8% more Foreign Direct Investment. 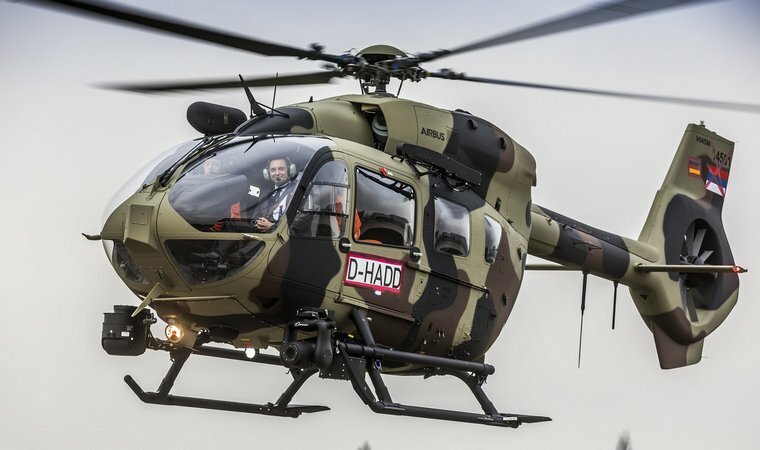 The Serbian Minister of Defence Aleksandar Vulin visited the Airbus Helicopters Donauwörth site to accept the first H145M for the Serbian Air Force. In December, two H145Ms will be delivered to the Serbian Ministry of Interior. Altogether, Serbia will receive nine H145Ms, earmarked for the Air Force and for the Ministry of Interior. Four of the Air Force's aircraft will be equipped with the HForce weapon management system. Photo © Airbus. The contract between Airbus Helicopters and Serbia foresees transfer of technology, spare parts, tools and documentation for the helicopters' maintenance and repair. Airbus Helicopters will also certify Serbia's Moma Stanojlovic aeronautical plant as a centre for the maintenance of Gazelle helicopters and will include it in its overhaul network. Airbus will also support Serbian manufacturing plants and research and development institutions to obtain relevant qualifications and certificates to become a supplier. The H145M is a tried-and-tested light twin-engine helicopter that was first delivered in 2015 to the German Armed Forces and has since been ordered by Hungary, Thailand and Luxemburg. The programme's maturity allows Airbus Helicopters to execute orders on cost and on schedule. Mission readiness of the H145Ms already in service is above 95 percent. The leading Austrian aerospace group FACC has entered into a strategic partnership with the Chinese technology company EHang, which specializes in autonomous air mobility. EHang is one of the world's most promising autonomous air mobility companies and was named one of the "Most Innovative Companies of the World" by Fast Company magazine in 2016. Photo © FAAC. In a joint effort, the autonomous air vehicles (AAV) are to be optimized and made ready for series production. In addition, solutions for the individual air mobility of the future will be jointly developed, and research will be conducted on new technologies for AAV. At the beginning of November, the two companies signed a strategic partnership agreement in Guangzhou, China. "As a technology partner of the global aerospace industry, FACC has a broad spectrum of systems expertise ranging from research, design, development, certification and global production to the maintenance of high-tech products for aircraft. This enables us to be fully equipped and dedicated when it comes to implementing safe and highly efficient lightweight solutions for individual air mobility around smart cities. In this respect, the partnership with EHang takes us a big step forward," says Robert Machtlinger, CEO of FACC. Based in Guangzhou, China, EHang is a world leader in autonomous air mobility technology. The EHANG 184, the world's first autonomous aerial vehicle, was presented at the Consumer Electronics Show (CES) in Las Vegas in 2016. "We offer world-leading and trend-setting products and solutions for urban air mobility. The partnership with FACC strongly supports us in the implementation of our solutions and in the manufacturing and certification of EHang AAV that will lead to its commercialization. Together with FACC, we will make these technologies available worldwide," emphasizes Hu Huazhi, founder, Chairman and CEO of EHang. As part of the strategic partnership, FACC and EHang contribute their resources and networks, thus creating optimal synergies to jointly advance technologies and solutions in the field of urban air mobility. EHang is the inventor and expert for all questions relating to autonomous air mobility, particularly with regard to connectivity and software solutions. FACC supports high-tech hardware with development, certification, production and worldwide aftermarket services. FACC and EHang will work closely with industry partners, politicians and aviation authorities to implement the mobility solutions in airspace. It is also planned, in consultation with the authorities, to accelerate the design of the framework conditions and regulations for individual air mobility and, subsequently, the creation of a test field in Austria. Kopter Group AG (Kopter) has commenced the next phase of its helicopter development and certification program with its latest SH09 prototype number 3 (P3). Photo © Kopter. P3 has achieved the necessary technical clearance and regulatory compliance to start flight tests. Designed in Switzerland and assembled at the Kopter facility at Mollis airfield, it incorporates several improvements and modifications based on feedback resulting from the testing of Kopter prototypes 1 and 2. P3 flew from Mollis airfield for 40 mins and successfully completed its first flight test schedule, which included a series of maneuvers aimed to obtaining preliminary flight data, validating test design features and evaluating flight qualities. "P3 demonstrated excellent handling characteristics today, I expect Kopter to make rapid progress in development of the SH09" reported Richard Trueman, the Kopter Chief Test Pilot after the flight. While P3 will continue the development of the SH09 by performing an intensive flight test campaign in Sicily (Pozzallo, Province of Ragusa), the Kopter team in Mollis will finalize the preparation of the next prototype, the Pre-Series number 4 (PS4), which will join P3 in 2019 to undertake flight testing in Sicily. In addition to its essential contribution to the development aircraft, the Mollis team will set its future focus on upgrading the existing facility into a fully operational commercial production centre. "I am proud of the Kopter team and its ability to develop the next generation single engine rotorcraft" said Andreas Lowenstein, Kopter Chief Executive Officer. "With P3 we are set on the path towards delivery to our customers". He added: "We have seen a tremendous response from the market for the SH09, which offers the highest standards of safety, mission capability and cost efficiency, which our customers are asking for." NEXTANT AEROSPACE ACHIEVES LANDMARK STC APPROVAL FOR CHALLENGER 604XT PRO LINE FUSION® UPGRADE. "In collaboration with Rockwell Collins and Bombardier, we have maintained a carefully crafted plan to advance the steps required to receive the STC on schedule," said Mark O'Donnell, Nextant Aerospace Executive Vice President. "We have three aircraft in-house ready for installation, plus seven more scheduled before year end. The first customer delivery is slated for early December. With more than 25 installations pre-sold, customer interest and market demand has been phenomenal for the Pro Line Fusion® upgrade," noted O'Donnell. This certification achievement completes Phase I, Avionics Transformation, of the multiphase 604XT remanufacturing solution. The upgraded flight deck includes the touchscreen Pro Line Fusion®, Synthetic Vision with Airport Dome, WAAS/LVP, and ADS-B Out with the option to include Safe Flight AutoPower, FANS-1A and Link 2000+. Additional phases of the Challenger 604XT solution include modernized interior cabin design options and aerodynamic enhancements for improved performance. "With Phase I avionics transformation accomplished, we are accelerating our efforts on the interior cabin redesigns to increase functionality, enrich comfort and provide more customization options for clients," explained O'Donnell. "Clients may choose from multiple floor plan options to optimize interior space, modify cabin with composite shell integrated with LED lighting, select oversized executive tables and more." 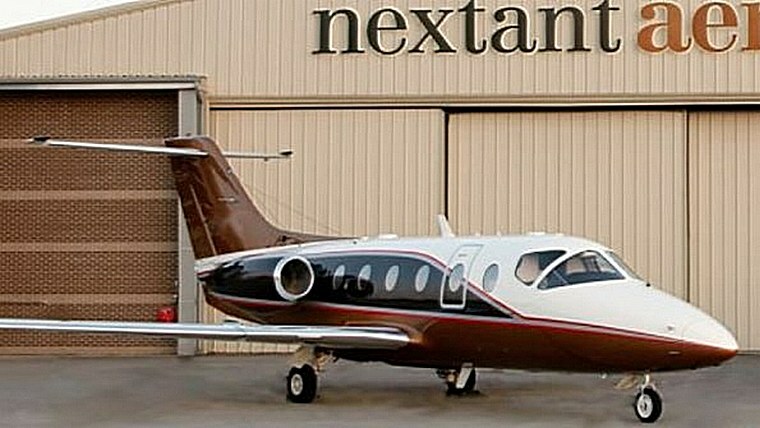 Nextant is also actively evaluating and finalizing the performance enhancements engineered to deliver a 500 nautical mile range improvement with a service ceiling expansion to FL450. "We are thrilled to have reached this milestone in our journey to deliver new jet features in technology and systems in the Challenger 604XT. Like the advancements in our 400XT series and G90XT, the goal to deliver remanufactured aircraft at a fraction of the cost of a new one is the cornerstone of our Nextant Family of Aircraft offering," noted Stephen Maiden, President/CEO. Lockheed Martin (NYSE: LMT) Skunk Works® began manufacturing the first part for the X-59 Quiet Supersonic Technology aircraft, marking a milestone to bring supersonic commercial travel over land one step closer to reality. Image © Lockheed Martin. Earlier this year, NASA selected Lockheed Martin to design; build and flight test the Low Boom Flight Demonstrator. The X-59 will conduct its first flight in 2021. 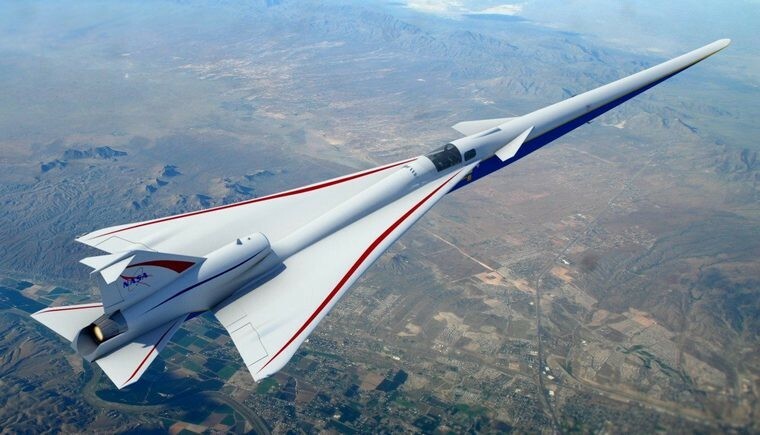 It will be used to collect community response data on the acceptability of the quiet sonic boom generated by the aircraft, helping NASA establish an acceptable commercial supersonic noise standard to overturn current regulations banning supersonic travel over land. X-59 is designed to cruise at 55,000 feet at a speed of about 940 mph and create a sound about as loud as a car door closing, 75 Perceived Level decibels (PLdB), instead of a sonic boom. South Africa, Cape Town: A Comair Boeing 737-800 was climbing out of Cape Town International Airport on a flight to Johannesburg when the crew stopped the climb at 6000 feet due to a bird strike into one of the engines. 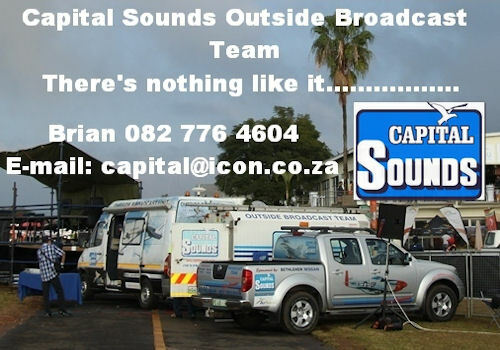 The aircraft returned to Cape Town for a safe landing on runway 19 about 25 minutes after departure. A number of fan blades were bent. Kenya, Nairobi: A KLM Boeing 747-400 was climbing out of Nairobi's runway 06 on a flight to Amsterdam when the crew declared PAN PAN PAN reporting they had an engine failure. The aircraft stopped the climb at FL200, dumped fuel and returned to Nairobi for a safe landing on runway 06 about one hour after departure. Mexico, Rio Verde, Bacalar: A Cessna 210L Centurion II with a cargo of drugs and three people on board was found crashed and burnt on an illegal landing strip. The aircraft that was damaged beyond repair was on an illegal flight. Brazil, Jequitaí-Fazenda: A Cessna 525 Citation M2 jet with four on board operated by ARG Ltda crashed during an attempted landing on a single 1200m asphalt runway on farm close to Jequitaí-Fazenda Fortaleza de Santa Terezinha Airport. There were no survivors. India, Bahupeta village: A Indian Air Force (IAF) HAL HJT-16 Kiran trainer aircraft on a flight from Hakeeempet Airforce Base crashed under unknown circumstances close to Bahupeta village, Alair, Yadgirigutta . The pilot ejected safely. Sweden, Stockholm-Arlanda Airport: A Air India Boeing 787-8 Dreamliner with 179 on board contacted a building with the left-hand wingtip on the ground at Stockholm Arlanda Airport. The aircraft suffered minor damage. The aircraft was taxiing to Gate F28 at Terminal 5. This gate has two guidelines, F28L and F28R. Aircraft of the size of a Boeing 787 have to use F28R given the spacing with the building located close to the gate. ADS-B data suggest the aircraft may have followed F28L instead. UK, London, Heathrow: A British Airways Boeing 747-400 on a flight to Nairobi, Kenya was climbing out of Heathrow when the crew stopped the climb at 6500 feet due to being unable to retract the landing gear. The crew decided to return to Heathrow, climbed the aircraft to FL080 to dump fuel over the British Channel and returned to Heathrow for a safe landing. Emergency services reported a leak at the right body gear. The Korean War showed that World War II-era piston-engine transports were no longer adequate and on 2 February 1951, the United States Air Force issued a General Operating Requirement (GOR) for a new transport to Boeing, Douglas, Fairchild, Lockheed, Martin, Chase Aircraft, North American, Northrop, and Airlifts Inc. The new transport would have a capacity of 92 passengers, 72 combat troops or 64 paratroopers in a cargo compartment that was approximately 41 feet (12 m) long, 9 feet (2.7 m) high, and 10 feet (3.0 m) wide. Unlike transports derived from passenger airliners, it was to be designed specifically as a combat transport with loading from a hinged loading ramp at the rear of the fuselage. The Lockheed design team was led by Willis Hawkins, starting with a 130-page proposal for the Lockheed L-206. The C-130 entered service with the U.S on 9 December 1957, followed by Australia and many other nations. During its years of service, the Hercules family has participated in numerous military, civilian and humanitarian aid operations. 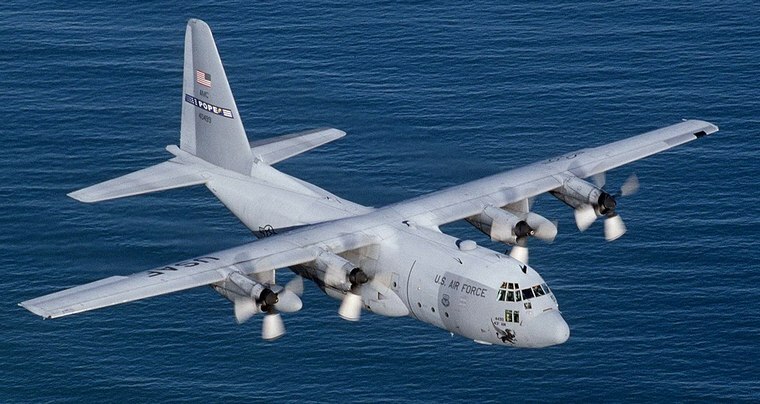 In 2007, the C-130 became the fifth aircraft to mark 50 years of continuous service with its original primary customer, which for the C-130 is the United States Air Force. The C-130 Hercules is the longest continuously produced military aircraft at over 60 years, with the updated Lockheed Martin C-130J Super Hercules currently being produced.